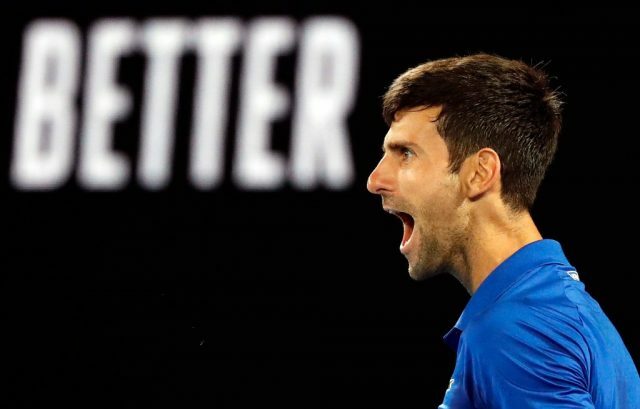 World number one Novak Djokovic secured a record seventh Australian Open title and third consecutive Grand Slam crown as he produced a near-perfect display to dispatch Rafael Nadal in straight sets in Melbourne. Djokovic inflicted a crushing 6-3, 6-2, 6-3 defeat on Nadal in a one-sided final on Rod Laver Arena to seal his 15th Grand Slam title. The 31-year-old Serbian, who has won every major since returning from elbow surgery, moved clear of six-time men’s winners Roy Emerson and Roger Federer and leapfrogged American great Pete Sampras on the all-time list. Victory for Djokovic never looked in doubt as he dominated from start to finish, leaving those who were hoping for another classic contest between two of the game’s powerhouses disappointed. The reigning Wimbledon and US Open champion broke the Nadal serve on five occasions, eventually completing a commanding win in two hours and four minutes. Djokovic had two break points in what proved to be the final game of the match and wrapped up another Australian Open title when Nadal sent a backhand long – his 28th unforced error of the contest. “I’m trying to contemplate on the journey in the past 12 months,” said Djokovic. “I had surgery exactly 12 months ago. “To be standing now here, in front of you today, managing to win this title and three of the four Slams is truly amazing. “I would like to thank my team for supporting me. Djokovic had won his semi-final in similarly dominant fashion but few expected a repeat in the Australian Open showpiece against a resurgent Nadal. The Serbian quickly took control as he won Nadal’s opening service game on his way to taking the opener. The gulf in class between the two on the day began to grow wider as Djokovic maintained his flawless performance, controlling the rallies and rarely making a mistake. Nadal briefly threatened a fightback in the third but was unable to convert break points and Djokovic held before breaking the Spanish 17-time Grand Slam champion to cement his status as the king of the Australian Open.